Midwifery practices must choose to address their reprocessing needs in one of three ways: they may choose to reprocess instruments in clinic, outsource to a private service provider or hospital, or use disposable instruments. Click here for a comparison of each of these three options. 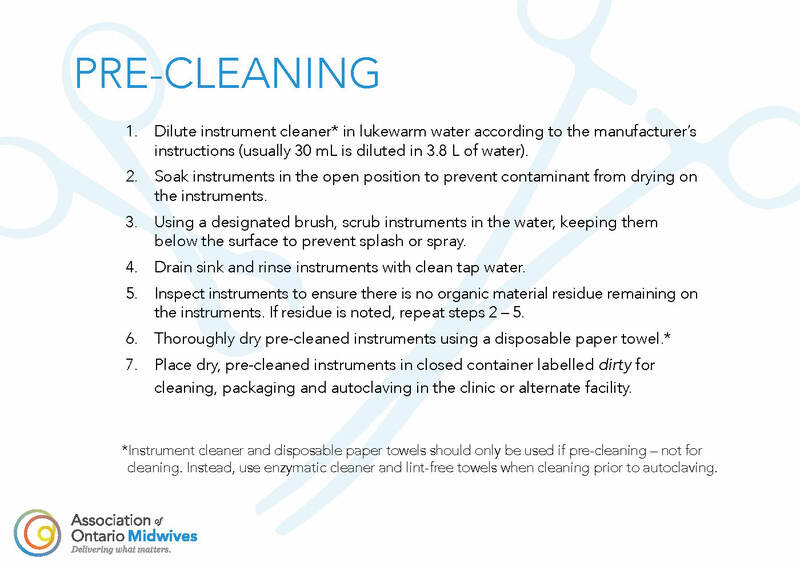 If reprocessing instruments on-site, there isn’t one surefire way to know if an instrument has been effectively sterilized. However, there are a number of steps that can be taken to ensure the greatest chance of effective sterilization and to confirm that the ideal sterilization conditions have been met. they need to be stored in a way that maintains sterility. These documents provide guidance about each of these elements in relation to gravity displacement autoclaves (what most midwives use, e.g. Ritter M9 or M11) – not dynamic air removal autoclaves. Gravity displacement autoclaves let steam fall through the contents of the autoclave and out; dynamic air removal autoclaves (and others) are more complex and use connections to pull air or steam out of the autoclave. While most of the information is relevant to both, some aspects are different and specific guidance is needed if a midwifery practice group is using a dynamic air removal autoclave. Because instrument sterilization is complex, the AOM IPAC Work Group strongly encourages practices to have anyone involved in instrument sterilization complete this free online course from Public Health Ontario and that at least one person per practice complete a recognized training course, for example, from the Medical Device Reprocessing Association of Ontario (MDRAO). Each practice group site that autoclaves its own instruments now qualifies for an additional $750 (over and above max funding for individual midwives) to send an administrator or midwife to instrument sterilization training. Apply here. Four-part video series (coming soon to our online store! ), including Reprocessing Overview, Instrument Cleaning, Packaging Your Instruments and Process Verification. 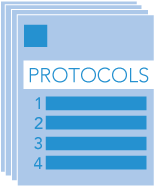 Cleaning & Reprocessing Protocols (found in Infection Prevention and Control section).